You’ve probably arrived on this page because you updated to WordPress 4.6 and now all of the backend pages (those in /wp-admin) are showing an error similar to the following. You’re using the Genesis Theme Framework on your WordPress website. WordPress updated something in version 4.6 that caused a problem with Genesis versions 2.3.0 and below. A new version of Genesis was released to fix this issue a few weeks before WordPress 4.6 was released. Unfortunately, if you update WordPress before updating Genesis you get this issue. We’re going to temporarily disable a small part of Genesis, the Custom Post Type archive pages, which will allow you to update to the latest version of Genesis. You or your developer should add this code to the bottom of the functions.php file of the Genesis theme. It is most likely located at wp-content/themes/genesis/functions.php. If you’re unsure how to do this, see the How to Edit functions.php section on this page. For those of you interested in the geeky details of this issue. Prior to Genesis 2.3.1, the constructor for Genesis_Admin_CPT_Archive_Settings was using type hinting to define the $post_type argument being passed into the constructor as being of the class stdClass. As of WordPress 4.6, the stdClass being used for $post_type has been replaced with a newly introduced class WP_Post_Type, which though it still behaves the same way does not match the expected stdClass. This mismatch caused the PHP error. Update 1: Now with 25% fewer steps! Originally this post included a Step 4, which instructed you to remove the code added to functions.php. Some of the friendly readers of this post pointed out this step was unnecessary since during the Genesis Update functions.php gets overwritten and therefore the code is no longer there to be removed. Thanks to all those who pointed out my error. In the comments, I’ve received a lot of inquires about how to edit functions.php. Unfortunately, this is beyond the scope of this post. Hopefully, these notes will put you on the right path. VERY helpful. You saved my bacon! Much gratitude your way! Thanks so much. This article was very helpful and very awesome. This helped me out of a tight spot this morning. Thanks! Instead, you need to access the code in functions.php. Generally, this is done via SFTP or through you host’s control panel. How is this done through Cpanel? I’ve updated the post with some links on how to edit your functions.php file. I hope these help. Quick and easy, you’re a Godsend. Thanks! Thanks, Sal. I had a mini heart attack when I saw that error today. You’re a life saver. Thanks. I go on vacation and the first thing I do when I come back is break my own site. Your post was a life saver. Thank you! Just one thing. I didn’t need to remove the code I added to the functions.php file. It seems it was removed automatically. At least it was gone when I went to remove it. I don’t completely understand why, but I guess the main thing is it’s gone. Thanks Denise, I’ve updated this article to correct this error. I appreciate the feedback. Thanks for sharing this information! I am having additional issues. I tried to update the Genesis theme + WordPress and a Fatal error has come up, very similar to what you have mentioned, however, I can’t log in to my site now, as the error comes up. I can go to a new browser window and get to my site like a normal user, and it shows I am in fact logged in. I then try and enter the dashboard, and the error comes up. No matter what part of my site menu (dashboard, updates, customize, etc. ), I cannot get to any part without the error. What do I need to do to be able to access the site from my admin side? It sounds like you still need to update Genesis to the latest version. I’ve added some links on how to update functions.php, I hope these are helpful. Thanks heaps, this allowed me to log in. However I had already updated Genesis prior to updating WordPress. If I remove that code which allowed me to log in I again can’t log in. Any ideas on what I can do to resolve that? Further to previous two messages, once I ticked the “check for updates” box in Genesis theme settings, the 2.3.1 update instantly became available within WordPress. Problem solved and functions.php file also returned to default so I didn’t need to remove the added code. Thank you! Thank for your help. It solves the problem. Thank you for the knowledge, helped out a great deal! Great fix, Sal. Much appreciated. it won’t even bring me to the dashboard because I automatically get the error after i log in so how do i install the genesis theme again? Awesome sauce! I had a client who didn’t take my advice and update her Genesis theme, of course she was in a panic, but your post had her back up & running in under a minute. THANK YOU! This notice sounds unrelated to the Genesis 2.3.1 update. Generally, notices are not displayed on a live website. You might want to check out WordPress Debug Settings. It sounds like you still need to update Genesis to 2.3.1. Hopefully, the steps outlined in this post will help. Hero status unlocked. Thank you. It sounds like you have an extra closing brace ‘}’ in your functions.php file. I’m guessing it got accidentally included when you were adding the code from this post. Thank you! It worked – one question though, When I went back into my FTP and opened the file to delete the extra code, it was already gone. Is this normal? You are absolutely correct, this was an error in my original post. I’ve updated this article to correct this error. I appreciate the feedback. Much obliged. Was going to investigate but searched first on a whim. Perfect! Great, you made my day!!! Saved my life, thanks for posting this easy fix! Thank you so much for this article. I did copy that code to my Genesis functions.php file, but I’m still getting the error message. I even just manually uploaded Genesis 2.3.1 via ftp, but still no luck. I would double-check and make sure the error message you’re getting is the same one described in this post. I would also consider disabling all plugins as a testing step. Thank you! I was stressed when I tried to login to my site and got this error. All fixed. I thought we got hacked for a moment. Very grateful. Hi! Great article! I accidentally forgot to update Genesis before updating WP. So I’m receiving the error and can’t login. How do I “Add This Code to the Bottom of functions.php” if I can’t access the WP login? Great advice, worked easy and perfect. Thank you very much. I highly appreciate your articles. Thanks for your very helpful post. As a newbie to website building with WordPress, I found it was easier for my hosting service to make the changes because I was afraid of doing more damage. I have a newbie question – do I make the upgrades to WordPress and Genesis as soon as they appear on the Dashboard? Is there a sequence – Genesis first, then WordPress? I’m glad to hear you got things sorted. There are a lot of conflicting opinions on the proper order to update WordPress components. Personally, I update them in this order. Thanks Sal, you made that so easy. OMG! This saved me. Thanks so much! Question, should we go into the genesis function again after we update and remove the code we added in? I got the memo to update Genesis before WordPress 4.6 (thank you Lindsey @prettydarncute), but one of my clients didn’t. Your fix was a lifesaver, and made me look REALLY smart!!! Thanks so much for this post as it really helped me out tremendously. Bless you. Thanks so much! This was just the fix I needed. Thank you! This post saved the day. And maybe this issue will nudge the client to letting me do the updates as part of a maintenance contract. So hard to convince older clients that not maintaining their site is going to break things or worse…so thanks again! UGH, THANK YOU. I was on the verge of a mini panic attack. This post is a lifesaver! Thanks so much!! Thanks for this! Quickly got me back in and Saved me tons of time. This was a life-saver! Thank you! Not only did I fix my problem, but I learned some new things in the process! So helpful! Thank you, thank you, thank you! Life saver :). I knew I was going to need this, and this morning I finally did. An old client emailed me in a panic. Thanks for the nice, quick fix. Thank you! Saved me from pulling out what little hair I have! Thanks for this info and code. Saved me hours of work on a client site. Thanks for the great article! I’m late to the party here, but you saved me too. HELP please!! I looked for the functions.php file and I don’t see it. I followed the path wp-content/themes/genesis/ and then there two directories: images and lib. I opened lib and there is a functions directory but no functions.php file. Is there another way to fix this?? Or can I modify another file to get the same fix? These are the files inside the functions directory: breadcrumb.php, compat.php, deprecated.php, feed.php, formatting.php, general.php, image.php, layout.php, markup.php, menu.php, options.php, seo.php, upgrade.php and widgetize.php. I looked inside all the directories and I cannot find it. Found it!! Thank you so much for sharing your knowledge and information. Thanks Sal! It’s always great to search Google for a problem and instantly find someone with a well-written fix! You’re a lifesaver – such as well written post too. Thank you very much, such a simple solution and now I am back in the Admin section. Perfect! This worked beautifully, thank you so much!!! It sounds like the code you added is being treated as raw text rather than as PHP code. This happens most often when the code is not inside <?php and ?>. My guess is your functions.php file had a closing PHP tag (?>) at the end of it and when you added the code from this article to the end of the file, it is outside the PHP block and treated like text. This is concerning to me because generally the Genesis functions.php does not have a closing PHP tag (?>) because you don’t need one because PHP automatically closes the block at the end of the file. This is another guess but I suspect there is custom code in your functions.php, which will be overwritten when you update Genesis. If I’m correct about the custom code in functions.php, you’ll want to make a copy of the file on your local machine before updating. In any case, as a next step I’d try deleting the last closing PHP tag (?>) that appears in functions.php. Best of luck. I recently made the mistake of updating WordPress and then Genesis afterwards. Subsequently, my category and tag pages are now blank to the white screen of death. I can log in to my control panel, and my regular pages and posts are visible, but I can’t fix the category and tag pages. Would inserting your code in the Genesis functions.php file correct the problem with the category and tag pages? Hi Glenn, it looks like you’re running Genesis 2.2.7, while the latest is 2.4.2. 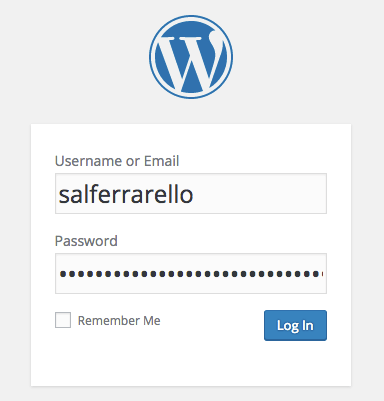 Since you’re able to log in to the backend of WordPress, you shouldn’t need the fix in the this post. I’d start with updating Genesis and go from there. What can I do to try and UNDO this horrible error? Near the top of this page there is a section called How to Fix It with three steps listed. These are the three steps I use when I’m correcting this problem. I hope this helps. Thank you for this information. However, I am unable to log into my wp admin to attempt any corrections. Is there a recommended way to be able to log in to my account to attempt this fix? Please check out the How to Edit functions.php section above. I can see how this section is not immediately obvious and I’ve now added a link to it within the Step 1 description. Best of luck. This is the first I’ve heard of something like this. I’ll definitely keep me eye out for anything like this. If you have any more information (e.g. screenshots of the site looking broken, the versions of WP & Genesis you had, etc. ), I’d be interested to hear more about it. i tried step 1 and i still can’t login to my site 🙁 any tips? Assuming you are talking about your site linked here in the comments, stylecontext.com, it looks like you are running the latest version of Genesis at the time of my writing this (2.4.2), so it looks like a different issue preventing you from logging in. Sorry I don’t have more helpful information. It sounds like some of the code that appears before the new code you added accidentally got modified. This should be the line directly before the code you added. My initial guess is the semi-colon (;) at the end of this line is missing. “You don’t have permissions to access this page”. – I have a wp multisite with genesis. 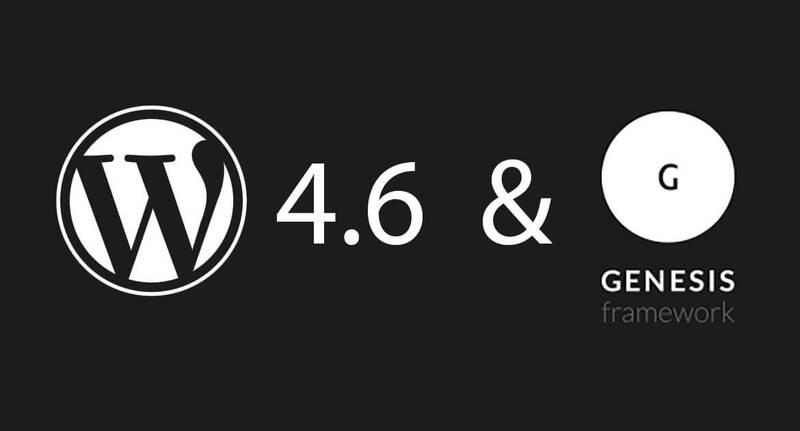 – Today I’ve updated to wp 4.7.1 (did not know I had to update Genesis first …). (2) “You don’t have permissions to access this page”. Googleing for “Catchable fatal error: Argument 1 passed to Genesis_Admin_CPT_Archive_Settings” I’ve found your post, and I’ve made the change in functions.php file. If the website you provided in your comment is the relevant website, it looks like your upgrade to Genesis 2.4.2 is complete (I’m basing this on the information at /wp-content/themes/genesis/style.css on your site). I suspect the “You don’t have permissions to access this page” error is unrelated to Genesis but this is just a guess. While it is rather technical, there is some information on this WordPress stackexchange article Troubleshooting a “You do not have sufficient permissions to access this page” error. Good luck, I know troubleshooting errors is not a lot of fun. Thanks! Worked like a charm. Again able to access the backend and edit our website. Thank you for sharing…been very helpful on many sites! Thank you! I’m not a programmer and get nervous changing PHP files directly, but I had to do something! Your instructions worked perfectly! THANK YOU! Thanks a lot. a great help. Thank you very much! Very grateful! I did everything you said and it worked! I just have this new problem: there’s now a “secondary sidebar widget” which I can’t get rid off. The visitors of the site luckily can’t see it, however, they will see some space at the websites right side. This space (and the secondary sidebar) appeared after I updated WordPress and after I put the coding under functions.php. Do you perhaps know why this happened and what I can do to fix this? It sounds like your Genesis Layout Settings got modified. I would check the Default Layout under the Genesis Theme Settings (/wp-admin/admin.php?page=genesis).